What an awesome photo Mary Ann, and beautiful layout to go with it! You rock paper and scissors my friend! I love this layout - gorgeous! Fabulous job!! This is gorgeous! You did an amazing job!! Mary Ann, I love the layers on this page. Beautiful page! Very, very nice layout, MaryAnn! What a beautiful page for your parents. Beautiful! I love those colours! This is an awesome layout!! 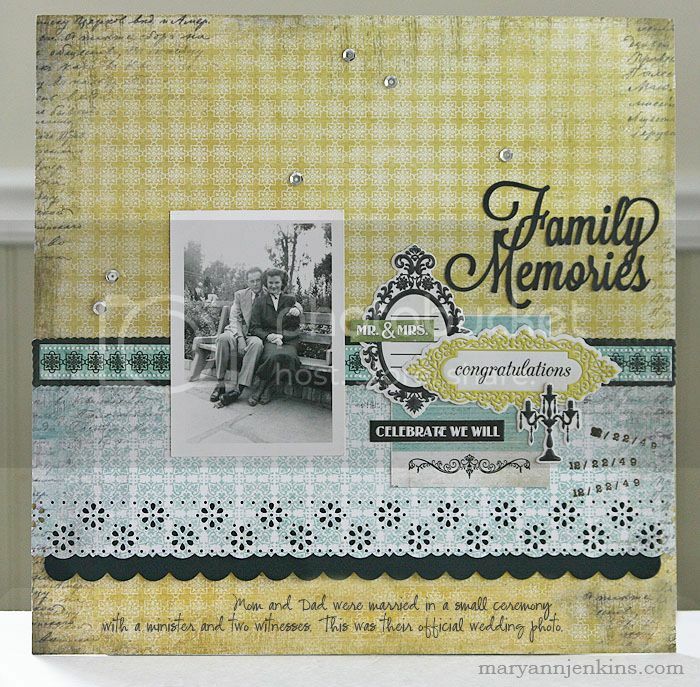 Mary Ann, I love how you took one small vintage picture and built such an elegant layout around it. Your design is masterful! 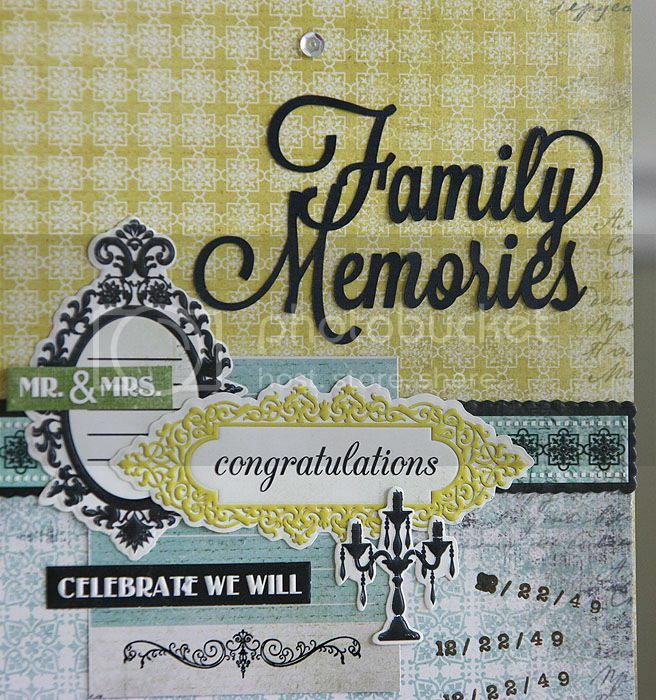 What a lovely layout of your parent's wedding photo. You can see a lot of love in this layout!